The Israeli Armor Corps is a corps of the Israel Defense Forces, since 1998 subordinate to GOC Army Headquarters. The Armor Corps is the principal maneuvering corps, and primarily bases its strength on Main Battle Tanks. 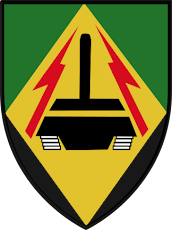 The Armor Corps is the decisive corps in GOC Army Headquarters, and bases its “crushing power” on its “fists of steel”: a combination of mobility, armor, and firepower. During wars, its role is, on the one hand, to lead the first line of the attacking forces and to clear the area of the enemy, while on the other hand, to block the armor forces of the enemy and to destroy its tanks and armor. During peacetime, it reinforces the Infantry Corps while it performs security tasks, with the tanks serving as a mobile bunker. Also known as the Ga’ash Formation, is the largest armor division in the IDF, and also includes Engineering Corps soldiers who are attached to it. It is stationed on the Golan Heights under the Northern Command. . It includes the 7th and 188th Brigades. Also known as the Sa’ar (”Storm”) Formation, this is a regular armor brigade which is placed under the command of the Northern Command. 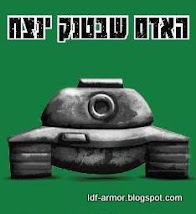 It is the first armor brigade of the IDF and has participated in all of Israel’s wars. The brigade’s fighting during the Suez War resulted in a breakthrough in how the army approached the character of armor warfare. Today, the brigade is equipped with Mark 2 Merkava tanks. Also known as the Barak (”Lightning”) Formation, it is a regular armor brigade which is placed under the command of the Northern Command. 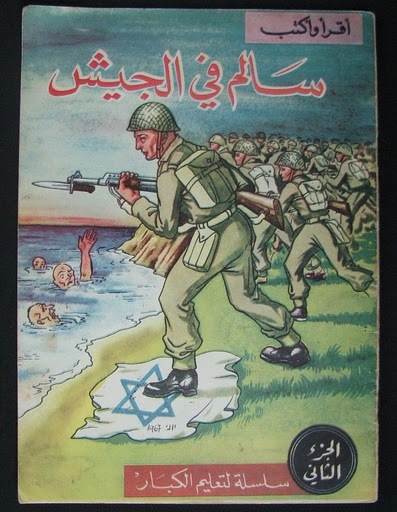 Starting with the Six Day War, the brigade participated in all of Israel’s wars. 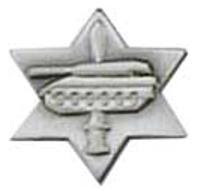 During the Yom Kippur War, the brigade was the first line of defense in the first day of the war at the Southern Golan, and saw almost all of its officers killed in action. It was the last armor brigade to use the Centurion tank, converted into Merkava 3 tanks in 1992. Also known as the Utzvat Ha’Barzel Formation, this is an armor division which is placed under the Central Command. The brigade was active during the War of Attrition when it split to provide the basis for the 401st Armoured Brigade. During the Yom Kippur War, it was initially an armoured reserve supporting the infantry brigades holding the Bar-Lev Line. It suffered terrible casualties during the war but was rebuilt afterwards. Also known as the Yishai (acronym for “Guardians of Jerusalem Unit”), during the Lebanon War of 1982, it was famously led by Colonel Eli Geva, who during the Siege of Beirut refused to lead his soldiers into the city for moral reasons. He was dismissed from the army, and the brigade itself was dissolved in the early 1990s. 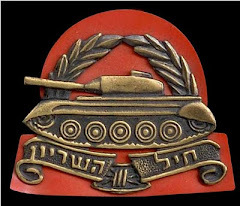 Also known as the Ikvot Habarzel (”Tracks of Iron”) Formation, this is an armor brigade created in 1968 in order to control the Suez Canal line. During the Yom Kippur War, it faced the first line of attack in the canal and suffered heavy losses. During the 1982 Lebanon War, it fought in the Southern force and one of its battalions participated in the Sultan Yaakov battle. During 2004-2005, the brigade’s tanks were converted into Mark 4 Merkava tanks. This is a reserve brigade also known as Merkavot Haplada (Steel Chariots), equipped with Mark 2 Merkava tanks. Up to the year 2000 the main equipment was old Magach AFVs. Recently, the brigade took part in the 2006 Lebanon War, most notably in the Battle of Bint Jbeil and battle of Yaroon, in the war the brigade eliminated approximately 60 Hezbollah fighters. Also known as the Bney Or (”Sons of Light”) Formation, this is the training brigade of the Armor Corps. It maintains two bases: the Shizafon (”tanning”) base, which is the training school for the corps’ commanders, where the officers and tank commanders are instructed. The Magen Sayarim (”Scout Defense”) Camp maintains the armor training school where basic and continued training is undertaken, preparing armor combatants toward the operational brigades. Also known as the Kfir (”Young Lion”) Formation, this was a regular armor brigade which operated from 1972 until 2003. 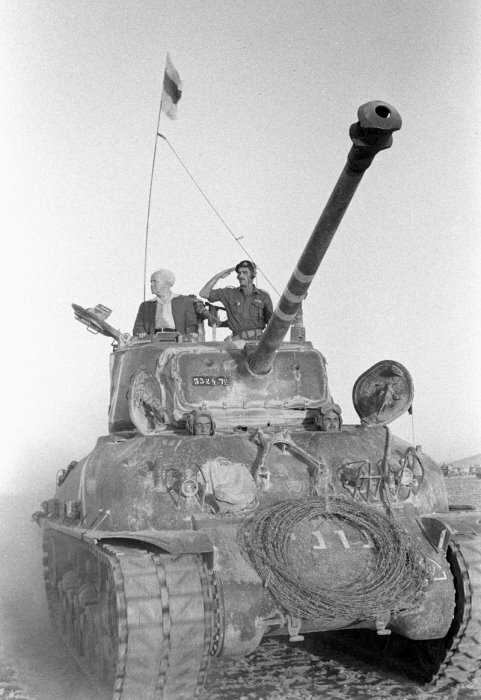 During the Yom Kippur War, it participated in the battle over the city of Suez. 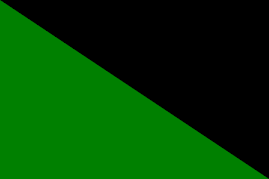 During the Lebanon War of 1982, it fought in the framework of the Eastern force and participated in the Eyn Zhalata battle. After the 2003 invasion of Iraq, and the lessening of the threat from the eastern front, the brigade was dissolved. The Barak Brigade is one of the regular armored brigades of the Northern Command. 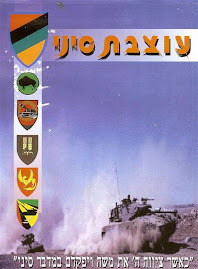 The Barak Brigade was formed before the establishment of the State of Israel, when it was known as the Carmeli Brigade. It was then an infantry brigade which fought in the north of Israel, from the Western Galilee to kibbutz Manara. Today, the brigade’s symbol is that of the Carmeli brigade, which has been used since the brigade was established. 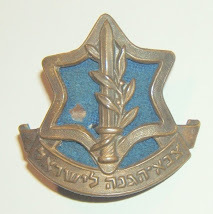 After the establishment of the State, all the independent Jewish fighting units were dismantled, the IDF was created and the Carmeli brigade became the “18th Brigade”. During the Sinai Campaign, the brigade was deployed on the Jordanian border, and therefore did not have an active role in the combat. One of the main conclusions after the war was that the army needed armored units, and the 18th Brigade started the changeover by becoming “the 45th Armored Brigade”. The brigade commander, Moshe Bar-Kochba (Brill) commanded the brigade in the Six Day War. The brigade received the Eastern sector. The IDF took the initiative to attack, in order to remove the threat of the Long Tom guns on the valley settlements and on the Ramat David airfield. The brigade fought a number of bloody battles in the Dotan Valley, which ended with the blowing up of the Jordan river bridges. At the start of the 1970s, the brigade participated in armored attacks on terrorist bases in South Lebanon and Syria. The experiences of the brigade during the Yom Kippur War in 1973 were particularly difficult. 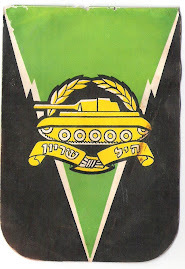 At the time, the Barak brigade was the only regular armored force on the Golan Heights. In the light of intelligence reports, the 7th Armored Division was sent to the Golan Heights two days before the outbreak of hostilities. However, the 7th Division soldiers were not familiar with the Golan Heights. The two brigades were spread out is isolated teams along the border line. The Barak brigade was responsible for the Southern Golan Heights sector. The main Syrian efforts to break through the border was in the Southern Golan Heights area, and the ratio of defenders to attackers forces was extremely unfavorable. 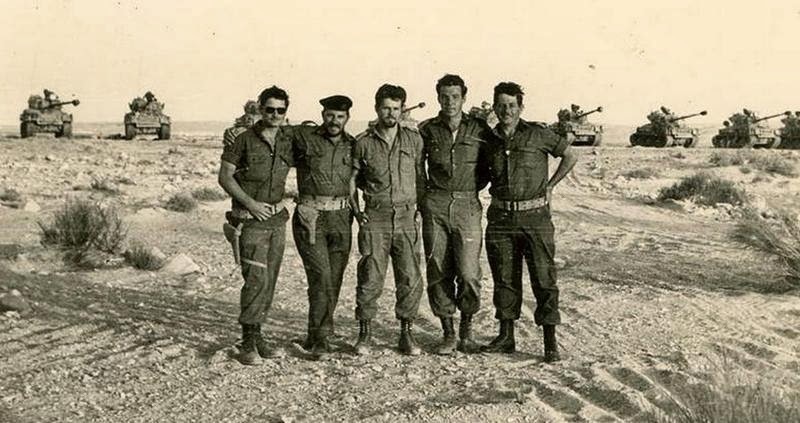 During the Yom Kippur War, 112 soldiers from the Barak brigade were killed in action. After the war the brigade rebuilt itself and later participated in the Litani Campaign and other armored operations. In the Peace for Galilee War, the brigade led division forces into Lebanon. This war was in built-up areas, hardly the typical combat arena for armor. The brigade fought in the Beirut sector, and participated in the capture of the airport. It then continued to fight in the eastern sector in Lebanon. The brigade participated in all subsequent redeployments stabilizing the lines in the Lebanese sector, and was among the last forces to leave Lebanon. In recent years, the brigade has changed over from the Centurion tank, which it used for an entire generation, to the ultramodern Merkava Mark 3 main battle tank. This changeover to the best combat tank in the world today has just been completed.